It was a much needed family day. We visited my dad and Joy. I got some time to take a short walk with just my dad. 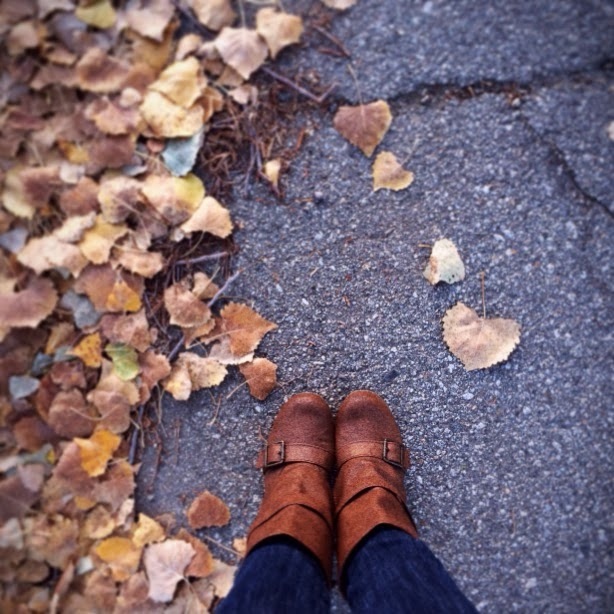 Today I am thankful for short walks and these cute boots. I love those cute boots and I am glad you got time with your daddy! I love the heart leaf there. Perfection!